Kids Church takes place most Sundays at 9:30 AM. 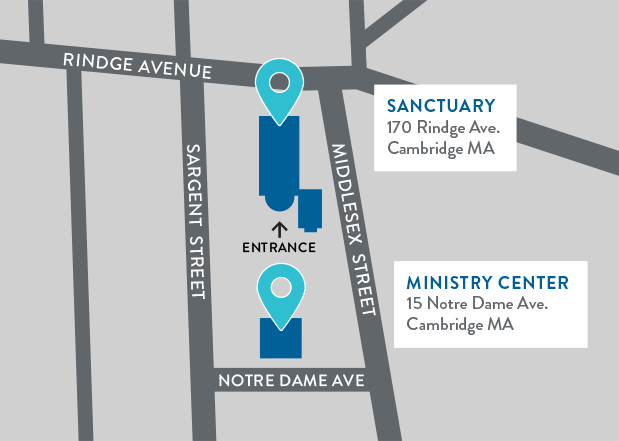 Grades 1-5 can be dropped off downstairs in the Sanctuary; all other kids (ages 0-18) can be checked in at the building that says “Ministry Center”. Worship. Wonder. Play. Find yourself in God’s story. Our church believes in the power that stories have to connect us with God, and no one is more in tune with stories than kids. From babies to young adults, our Kids Church program is centered on sharing stories from the Bible as we worship, wonder, and play together in community. Throughout the childhood years we focus on three strands: the Bible, spiritual practices, and community. As they progress from preschool through high school, our children experience all three in increasingly complex and nuanced forms. Children are always welcome in our main worship services. If your children need space to move around during the service, you’ll find toys and books in the alcove just outside the worship space. Images and sound are piped in so you can follow the service while your children play. We also have a small playground on campus and other spaces where kids and families gather. 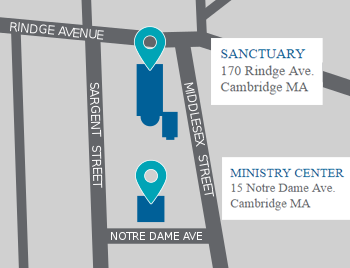 All our Sunday programs for children and youth happen during the 9:30 AM service. Kids check-in happens between 9:15 and 9:30. Volunteers are around on Sundays to help you check in your children and locate their classrooms. Be assured that we are committed to being a safe church for families, and we run background checks on all staff and volunteers who work with children. Volunteers provide childcare for children under two. The children gather for a large group worship time and then meet in small classes for story time. Storytellers use beautiful materials to appeal to a variety of learning styles and spark the imagination. The children get to play with the stories, make art, help serve the snack, and enjoy lots of free play. The elementary kids share a large group prayer, worship, and story time, and then split up into grade-level groups to ask and answer questions about the story. The last part of our morning is “work time,” where kids get to process what they’ve heard and shared through art and play. Youth group is a safe place where youth learn how to integrate God’s story into their understanding of the world and their own lives. Other activities include retreats, opportunities for service through Reservoir in the City, and just-for-fun events like sushi making and trampoline park visits. Our goal is to become increasingly aware that Jesus is with us, loves us, and is intensely passionate about the things that concern us. Nearly every month we produce a newsletter describing what we’re up to in Kids Church and Youth Group and offering practical, spiritual, and fun resources for families following Jesus together. See some of the past issues here. For information about child dedications, parenting workshops, marriage, and all things families, contact our families pastor, Kim Messenger: kim@reservoirchurch.org.